Cronulla High School received several awards for their amazing efforts at this years Relay for Life. The awards included Highest Team Fundraiser ($40,850), Most Creative Fundraiser, Most Laps Team Award and Breeana Rox received the award for Most Laps for an Individual. 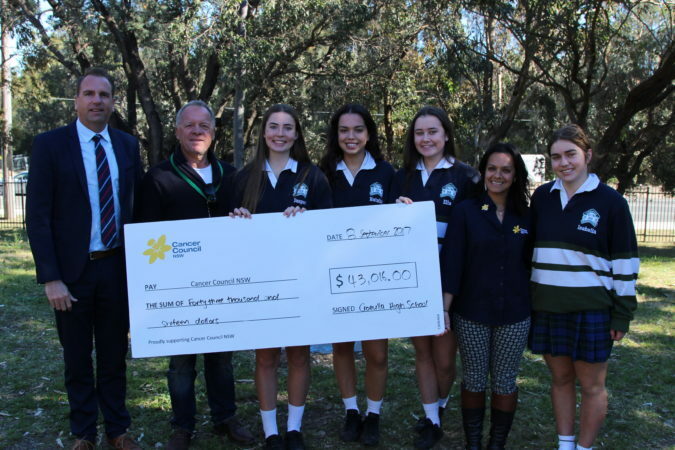 Last week it was an honour to present the cheque to NSW Cancer Council. We look forward to breaking records again next year!